My princess adores painting! She loves to mix colors, to draw girls and butterflies and baloons and cute houses, but most of all she adores to paint with different type of colors and in different type of papers! So far we have tried water colors on wood , water colors on pasta, the usual colored pencil and crayons on paper, colored chalk on paper and on chalk board and water colors with drinking straws . Latest we have discovered again (we have used them already to create bees on our shoes) colors for fabrics and of course we have enjoyed them a lot! The procedure is really easy. 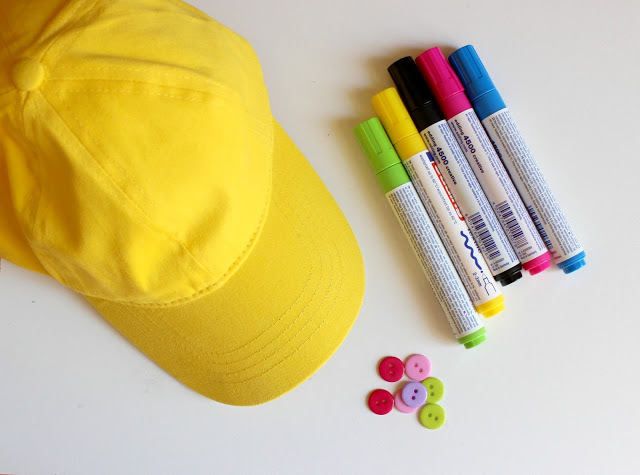 Just let you kids to draw the hat as they want to. With their imagination, I am pretty sure the hat will be great! And then is your turn… since it is not allowed for young kids to use needles and threads! 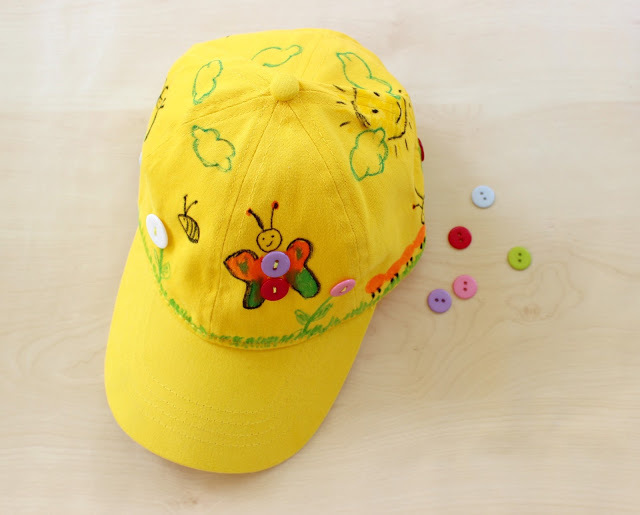 Just use buttons in many colors and sew them on the hat. We have used them as flowers but I think there more schemas you can use them. 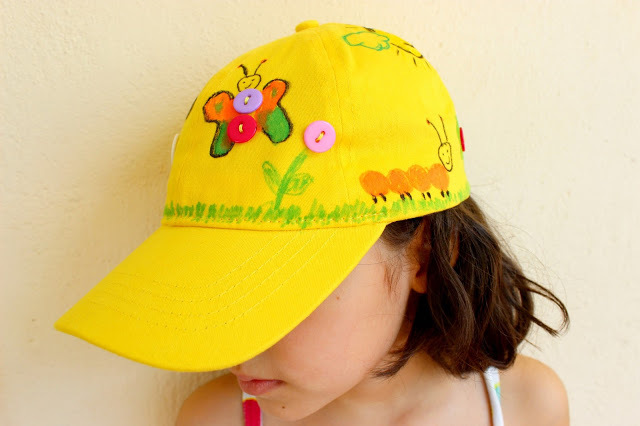 Our hat is ready and my princess just adores it… after all it is her creation!!!! So what is next??? Υπέροχο Ζήνα,έχετε άλλη μία καλή δημιουργό στην οικογένεια!!!Καλημέρα!!! Πολύ γλυκούλι το καπελακι σας! Χρυσοχερα σαν την μαμα της η μικρη πριγκιπισα!!! Μα είναι τέλειο πως να μην το λατρεύει? ΠΟλυ ωραία ιδέα Ζήνα μου θα το κάνω κι εγω με τα κορίτσια μου! Σε ευχαριστω πολύ ντινα! καλές δημιουργίες!!! Πω πω, είναι υπέροχο!!! Πολλά πολλά μπράβο στην πριγκίπισά σου Ζήνα μου!!! Έχει καλλιτεχνικές ανησυχίες ή κορούλα σου Ζήνα μου…έτσι το βρισκω πολύ όμορφο το καπελάκι της…φιλακια!